The issue raised by the Secretary of State this morning, which I was made aware of for the first time today, needs to be addressed immediately so that the will of the people may be respected. The more than 62,000 citizens who signed the Peoples’ Veto petitions deserve to have their voices heard. The will of the people must not be thwarted by some technicality in the law. The CFPB is the progressive deep state creation of Senator Elizabeth “Pocahontas” Warren (D-MA). If the Democratic candidates Ms. Farnsworth is touting are supporting Senator Warren and her identity politics/ class warfare agenda, I’ll find it very easy to enthusiastically support Representative Poliquin. Senate President Mike Thibodeau (R-Winterport) released this statement on Monday, March 26. Life is about setting priorities. My service to Waldo County, fulfilling my role as Senate President, being leader of the Senate Republican caucus, and running my business are all priorities I take very seriously. Over the last few months, I’ve come to realize there just isn’t time to do all of these things and run for governor at the same time. 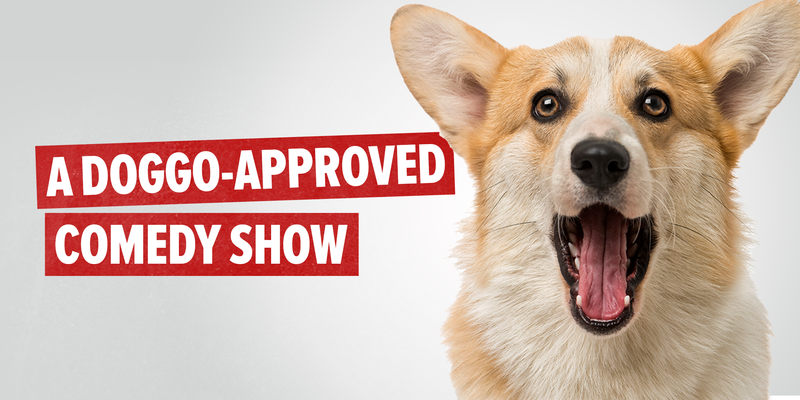 It may have been only a snippet at the tail end of a two-hour show, but it was morning prime time and a marketer’s dream come true. Featuring Maine wild blueberries right up front in all their antioxidant glory, Savannah Guthrie and Hoda Kotb hit the high points about today’s super fruit. A parallel message was to eat Wyman’s blueberries for a healthy life. “We’re wild about wild blueberries, and this could be the greatest chance to living longer,” an excited Guthrie told viewers. Assistant to the Secretary for Rural Development Anne Hazlett has unveiled a new interactive feature on the United States Department of Agriculture’s (USDA) rural opioid misuse webpage. Now, webpage visitors can tell USDA what prevention, treatment and recovery actions have been effective in addressing the opioid epidemic in their rural communities. USDA is collecting this information as part of an ongoing effort to identify best practices and effective strategies for addressing rural opioid misuse. Last Saturday morning the steps of Porter Memorial Library were stacked shoulder to shoulder with children waiting patiently for the library doors to open. There wasn’t a massive internet outage, and they weren’t there for a Harry Potter book release party. 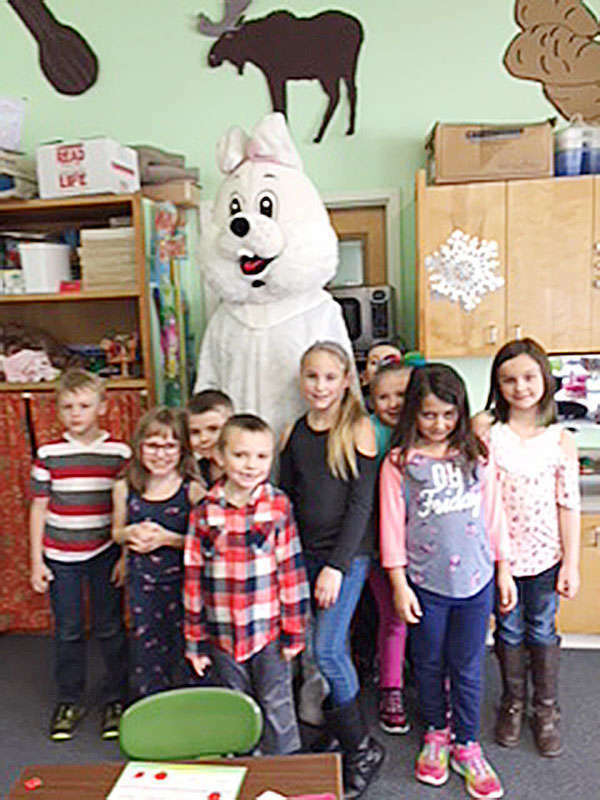 They came with their families for the library’s first annual Easter Egg Hunt. 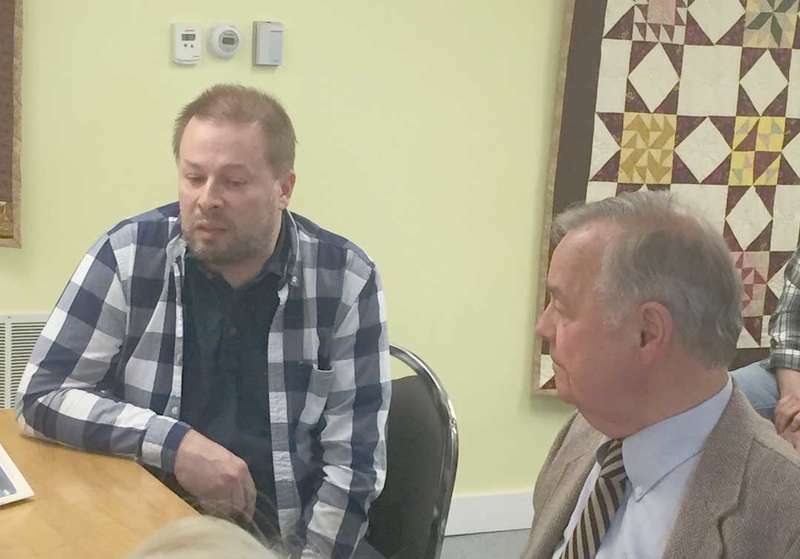 Visits from two Democratic gubernatorial hopefuls — Adam Cote and Mark Dion — highlighted the March 11 meeting of the Washington County Democrats in the meeting room of the East Machias fire station. 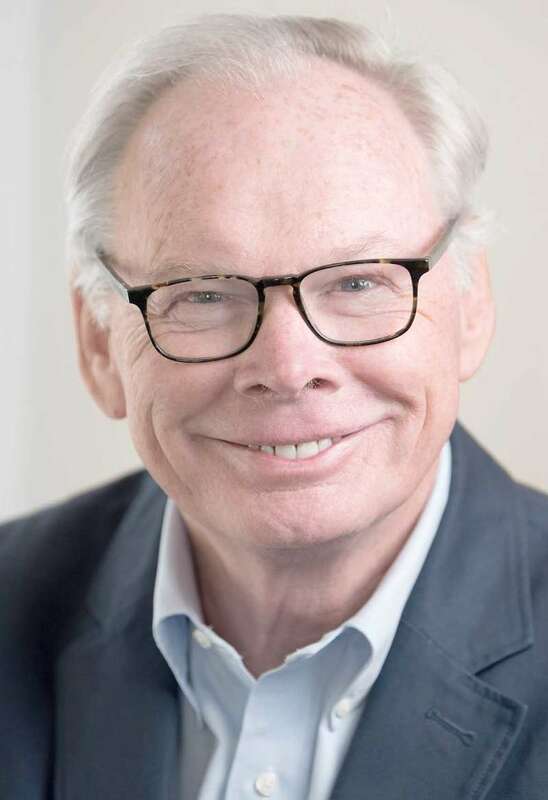 Maine Seacoast Mission President C. Scott Planting is retiring. President Scott Planting’s announcement came in a letter to Seacoast Mission supporters in which he thanked them for the opportunity to serve and for their help in building a secure financial base so the Mission’s programs and services on land and sea will continue. Tickets are available for purchase at the door for community members and are free for UMM students and employees. Downeast Community Partners (DCP) and Next Step Domestic Violence Project are collaborating to offer a renter’s education class in Machias this spring. “Rent Smart” focuses on the knowledge and skills essential for a successful renting experience. It challenges participants to know and understand their rights and responsibilities as a tenant, and to know and understand the rights and responsibilities of their landlord. Emphasis is on forming a strong partnership between tenant and landlord. Most of us remember Judy Garland for her role as Dorothy in the Wizard of Oz. We know she’s Liza Minnelli’s mother, and that she died young after a public struggle with addiction. But music producer Lawrence Schulman has a unique perspective on Garland’s place in history. Accustomed to a shortage of resources, area stakeholders remain buoyed by a network of help within their ranks when tackling domestic violence. Secretary of State Matthew Dunlap has posted notice of the emergency rule-making for ranked-choice voting, as the state prepares to use the ranked-choice method of voting for the first time in the June 12, 2018 Primary Election. 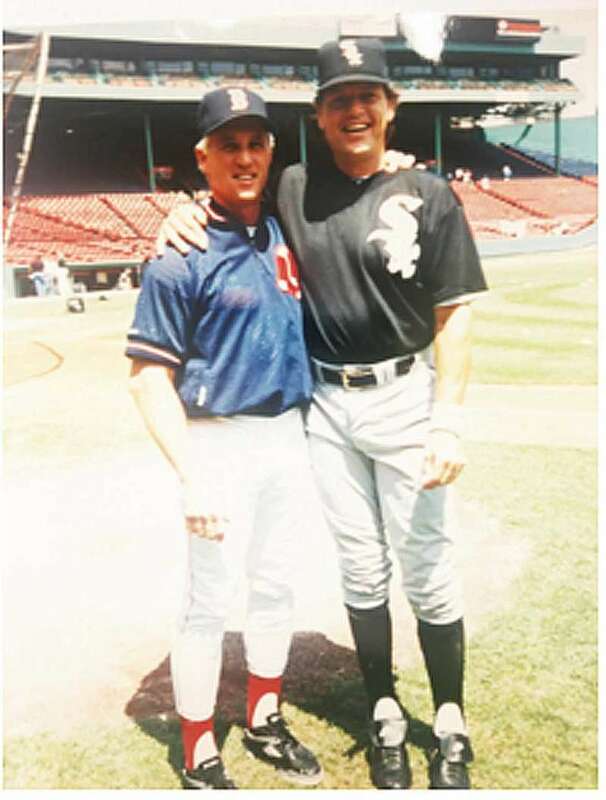 On four separate occasions, I have visited Fenway Park in Boston, Massachusetts to interview different Red Sox Players. I thought, with opening day upon us I would give the readers some insight into my experiences there. Today Charlie, Tim, Dea, and I enjoyed a wonderful meal at the Good and Plenty buffet in Milbridge. It is so nice there. The food is delicious, the service is fast, and it is so great to see friends there. I highly recommend everyone try it. You will really enjoy everything about it. Charlie has been sanding the hardwood floor in our kitchen. He is doing is great job. This house is one hundred and one years old. I cannot even think about all the footsteps that have gone through here. 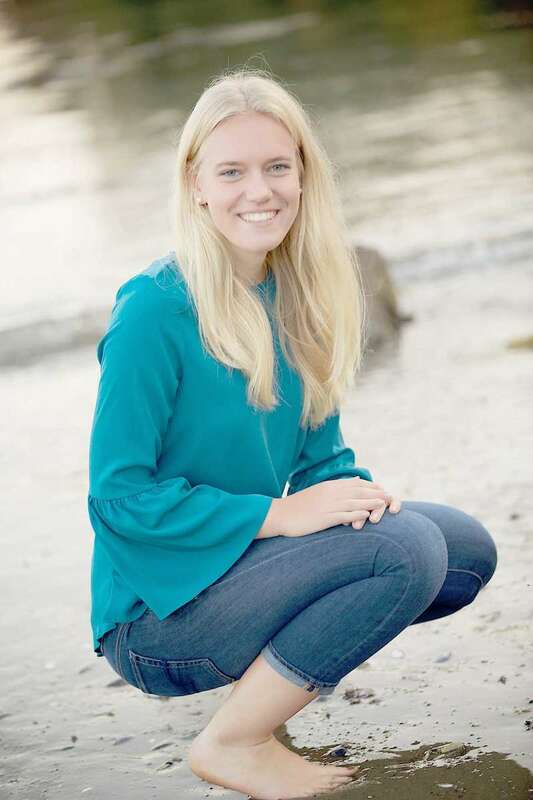 Sophia DeSchiffart of Cherryfield, a senior at Narraguagus Jr. and Sr. High School, has been selected by Principal Lucille Willey to receive the 2018 Principal’s Award. The award, sponsored by the Maine Principal’s Association, is given in recognition of a high school senior’s academic achievement and citizenship. Throughout the four years at Narraguagus, Sophia has distinguished herself as co-valedictorian of her class. Cameryn Farnsworth, a senior at Washington Academy, has been selected to receive the 2018 Principal’s Award, Head of School Judson McBrine announced today. The award sponsored by the Maine Principal’s Association is given in recognition of a high school senior’s academic achievement and citizenship. Cameryn is the daughter of Tracy and Theresa Farnsworth of East Machias. The 2017-18 high school basketball season is now in the record books. It was a tough season for a lot of area schools. 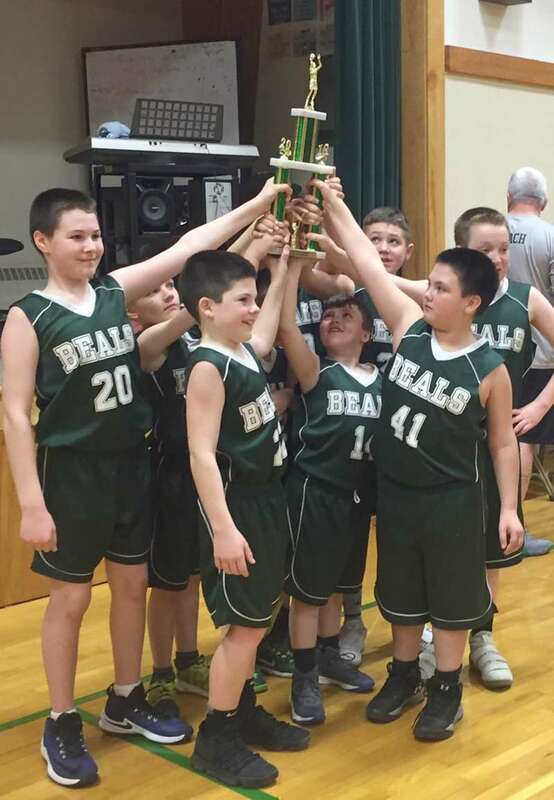 Going into the season, Calais and Narraguagus girls were the favorites to go deep into the playoffs along with Woodland in Class D.
Woodland was one of the Class D favorites and Michelle Ripley’s club made it to the Northern Maine title contest. The Dragons went into the playoffs as a number -wo seed less than a point behind Southern Aroostook of Dyer Brook. The Penobscot Valley Conference recently selected its all stars in basketball for the 2017-18 season. Kyle Case of Washington Academy (WA) was a Big East second team selection. Jacob Godfrey of Machias, who played for this season, was a first team selection. The Washington Academy girls’ team won this year’s Class B Sportsmanship Award in the Big East. Tihomer Babic of WA received an honorable mention. Madelyn Willey and Brandon Allard of WA were winners of the Paul Souex Award. 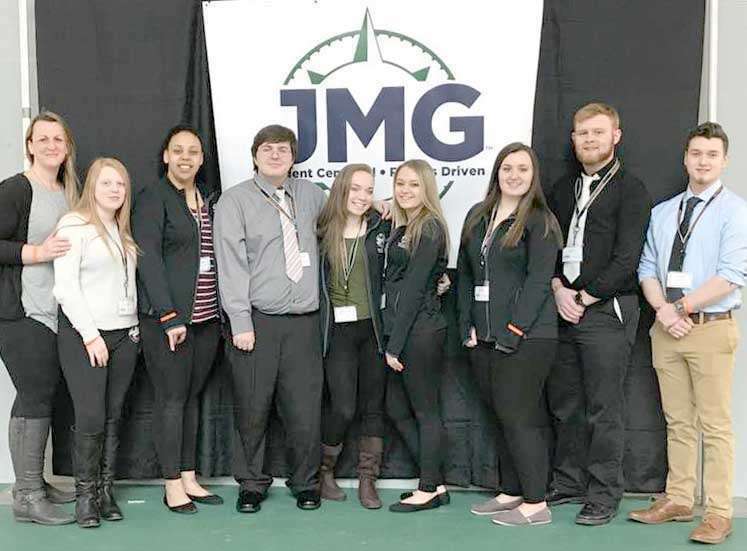 Since its announcement in October 2017, eighteen students at the University of Maine at Augusta (UMA) have taken part in the Pine Tree State Pledge program. Through the Pine Tree State Pledge, eligible students will not pay any out-of-pocket expenses for tuition and mandatory fees at UMA. An additional 36 students qualified for the Pine Tree State Pledge, however, no additional out-of-pocket expenses were needed to be covered. Thanks to the generosity of the community, the Moore for the Future campaign is close to reaching its goal. 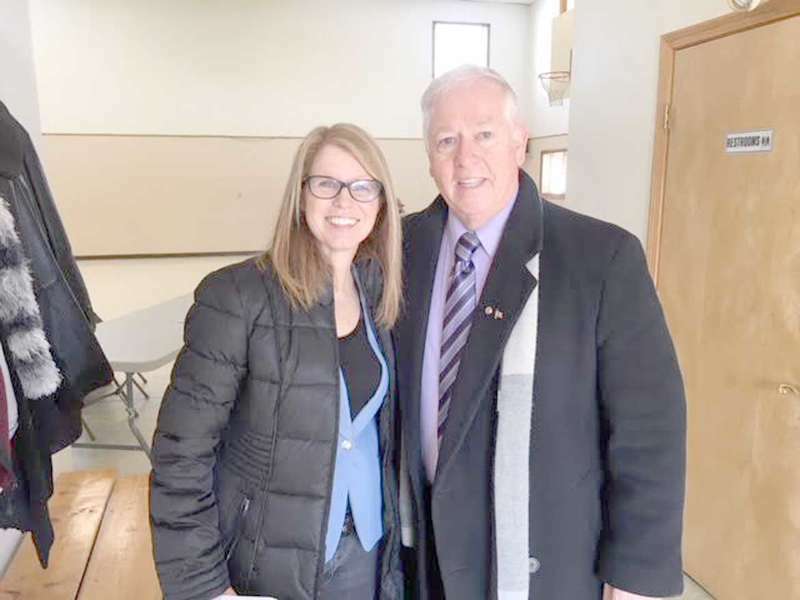 The campaign was launched in 2014 to help the Henry D. Moore Library and Community Center in Steuben raise an additional $250,000 for its endowment fund. It began in 2014 with an appeal letter asking Steuben residents, regional users and library friends to help ensure the library and community center could continue to provide services and programs while meeting its growing expenses. What is it about a well-cast fly line that furls out gently across a quiet trout pond or a roiling river? Done properly it is a graceful ballet. There is a rhythm that can mesmerize, not only the angler, but the onlooker as well. And when the softly whispering line finishes its furling roll, and the floating tippet dances the #16 parachute Adams upon the water like a descending butterfly…well, sir, that is the crescendo moment. The extended Calais community was treated to an early Easter feast on Saturday, March 24 at the Second Baptist Church. 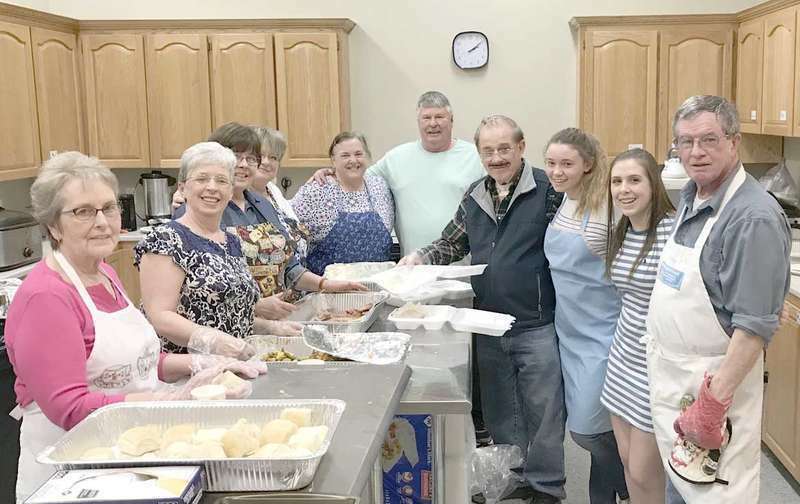 This is the second year in a row that the church has hosted a free meal to celebrate Easter and, like last year, nearly 400 people came out to join in the meal of ham, potatoes, and mixed vegetables. On Wednesday March 28, 2018 Sandra P. Feeney unexpectedly passed from this world. She was born on July 8, 1943 in Addison, Maine. 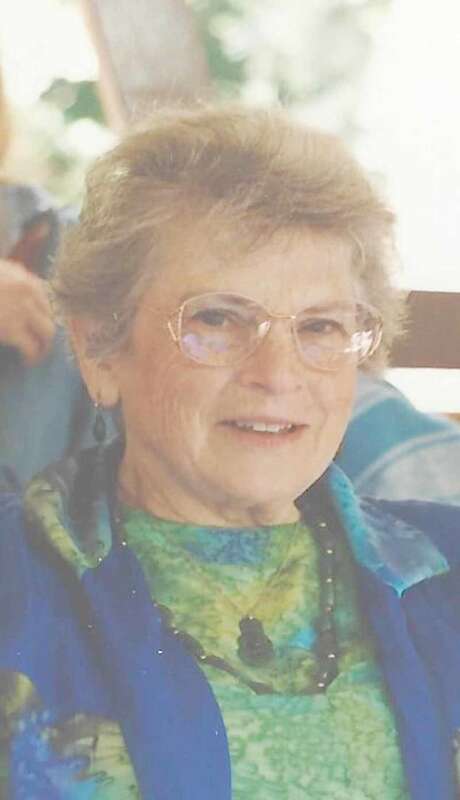 She was schooled in the Jonesport and Machias school systems, graduated in 1961, and later attended college in Rock Hill, South Carolina and then Husson College in Bangor, Maine. 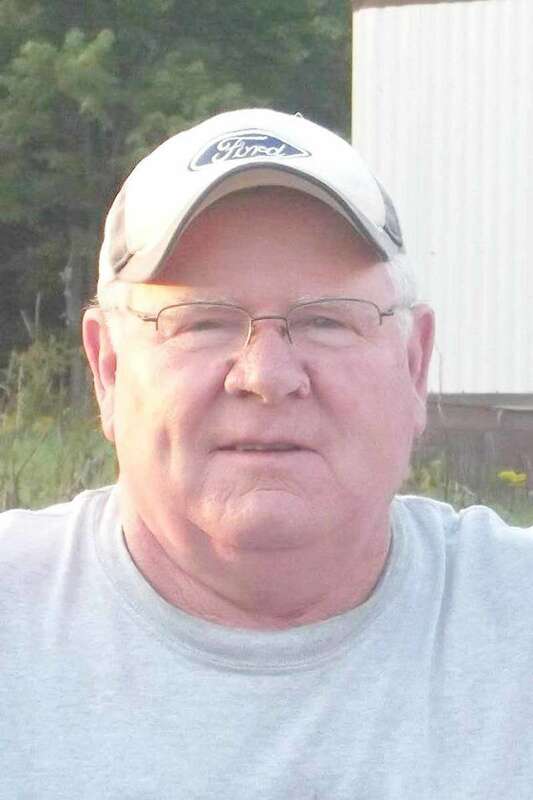 Ellery (Bud) Morrell Merchant Jr., 82, passed away on March 24, 2018 at a Lewiston hospital. He was born on November 14, 1935 on Beals Island, Maine, the son of Ellery Morrell Merchant, Sr. and Jessie Amanda Beal Merchant. He attended Beals Elementary School. He was a clam digger, worm digger, did some lobster fishing, seining, worked in a mill and for a moving van company. He coached elementary boys’ basketball and only lost three games. He played town team basketball and traveled to Canada with them. The month has flown by quite fast, I am not sure if I got done everything I thought I needed to do but that is okay as it looks like warmer weather is on its way. With the sun getting higher and higher in the sky it is warming up. We will probably get some cool days and one or two more snow storms but it will not last long now. The physical education class was able to go this past week sledding, and they looked like they were having fun. The snow is all gone where they were sledding from the rain we received. Spring must be here! Its that time again for our annual monthly suppers to begin. The first supper of the season is April 7 at 5 p.m. at the Hillgrove Community Center in Whitneyville. Turkey with all the fixings along with Janet’s rolls are on the menu. Homemade pies and cakes will round out the menu along with coffee, tea, ice water and lemonade. 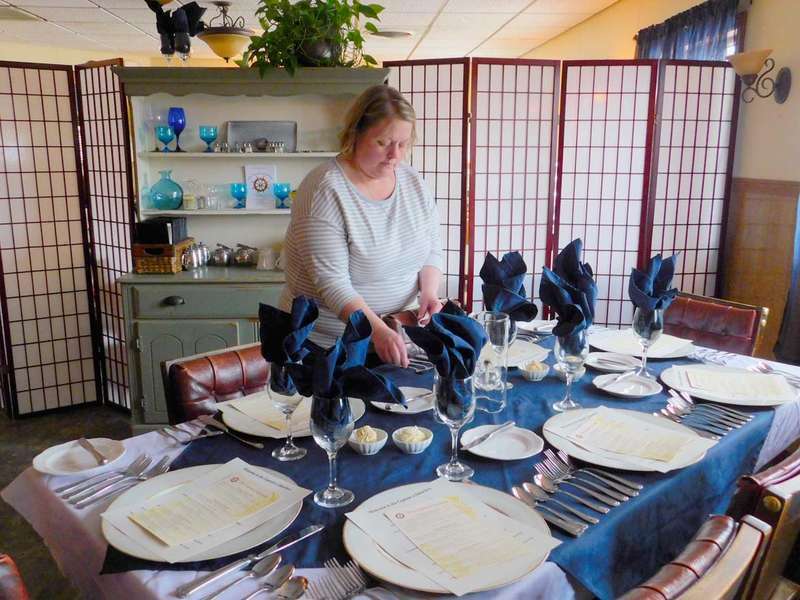 The Friends of the Whitneyville Library put on six public suppers a year. So if you like good food and great company then shake off those cabin fever and winter blues and join us! Carola’s daughter-in-law, Sharon, is staying with her for a few weeks. One week down, one to go for her cracked elbow. Pot luck supper is on April 4th at the Wesley Community building at 6 p.m. Weather has been getting warmer and hopefully snow is down for this year. Jonesport special meeting: abandon Ice Hill South? loan school repair money? Jonesport selectmen finally got a response to their letter to residents on Ice Hill South, a lane that runs from Main Street toward Moosabec Reach where neighbors have been at odds in a standoff that resulted in the town’s snow plow contractor refusing to remove snow from the congested area last winter. The break in the impasse prompted selectmen March 28 to call for a hearing and perhaps a special town meeting. My mom has Alzheimer’s disease and has gotten to the point that she can’t live at home any longer. I need to find a good memory care residential unit for her but could use some help. Any suggestions? Choosing a good memory care residential unit for a loved one with Alzheimer’s disease is a very important decision that requires careful evaluation and some homework. Red Cross Blood Drive, Wednesday, April 4, 11 a.m. - 4 p.m., Regional Medical Center Lubec, 43 South Lubec Road, Lubec. Passamaquoddy Bay Symphony Orchestra rehearsals resume in preparation for June concerts, new members welcome, Eastport Arts Center. April 5, 7-9:30 p.m.
Red Cross Blood Drive, Saturday, April 7, 10 a.m. - 3 p.m., Community of Christ Church, 148 Main Street, Jonesport. 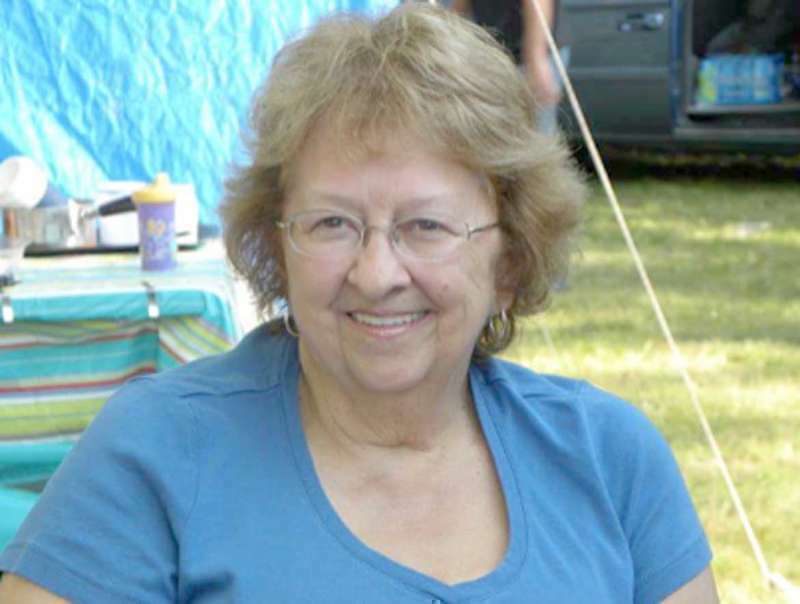 Dorothy Ann Johnson, 70, passed away at her home on March 27, 2018 with her nieces by her side and her cat at her feet. Dorothy was born to Clarence and Estella (Barnes) Johnson on July 17, 1947 in Calais. 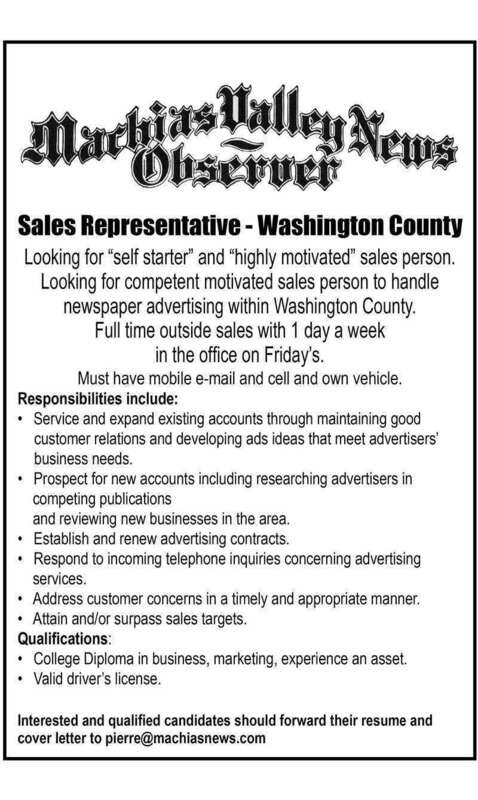 The Machias Valley News Observer is looking for a motivated sales person to handle full-time ad sales in Washington County. Health care nationwide continues to flounder under broken policies, ridiculous rhetoric and selfish inattention. In Maine it’s a sore subject because of so many deprived elderly and poor, exacerbated by a governor who has repeatedly vetoed the will of the people. Medicaid expansion remains a nightmare to fight for and an elusive necessity denied. 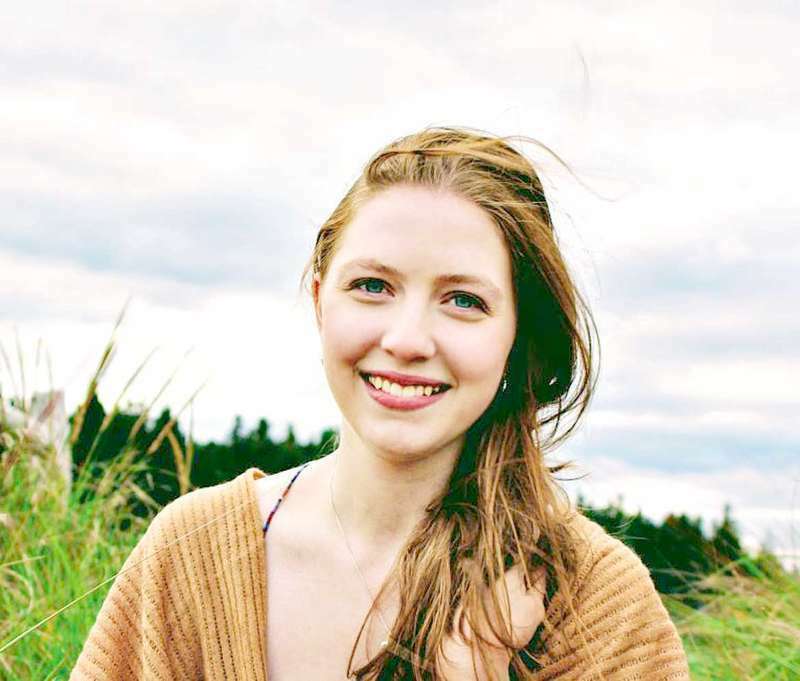 Bethany Sue Prout Foss never thought her life would revolve around a restaurant. It remains a joint mother/daughter enterprise, with Hope Prout returning for the season from her California home in May. EAC offers their popular April Vacation Arts Camp April 17-19, 10 a.m. - noon. Inspired by the culture and landscape of Polynesia, the camp features themed activities such as ti leaf leis, tribal tattoo art posters, shadow puppet folk tales, ukulele fun and more. 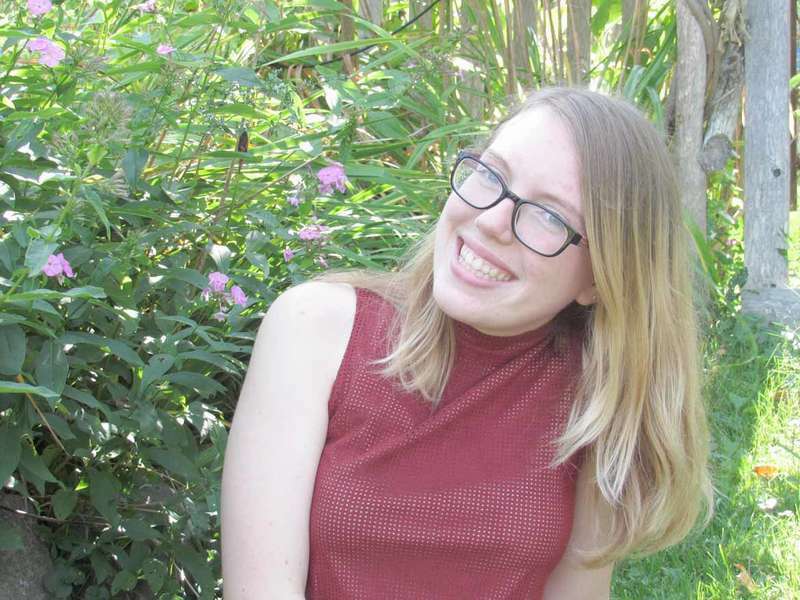 Instructors include music educator Alison Brennan and Tarah Waters, who has recently returned from Hawaiian travels. The two will be joined by visiting artists Chris Grannis (puppetry) and Lauren Koss (music). 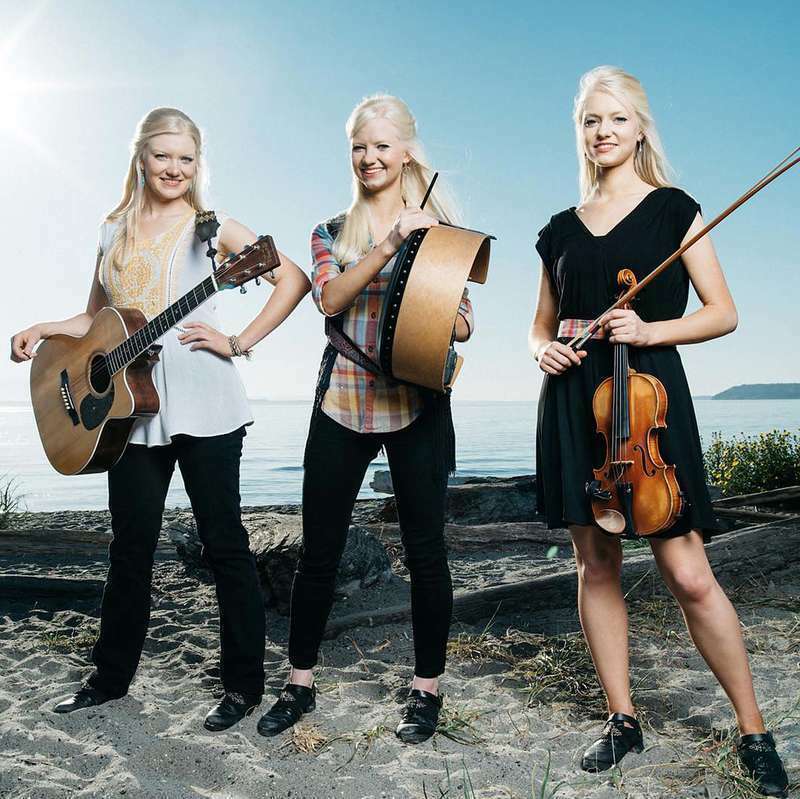 Calais Celtic Concerts will present the multi-award winning and Irish step champions, “The Gothard Sisters”, at the Calais High School, at 34 Blue Devil Hill, Calais ME., on Saturday, April 14. Concert starts at 7 p.m., the doors open at 6 p.m. The Gothard Sisters are a dynamic all-female Irish music and dance group from the Pacific Northwest USA. The three girls (who are truly sisters) perform and record new Celtic arrangements of well-known traditional tunes and songs, as well as their own original compositions from their six recorded studio albums. Just in time for the approaching tourism season, interest in the Downeast region is picking up in large part thanks to the efforts of recently released promotional publications. The early results indicate that effective marketing and outreach will have a potentially significant impact on attracting visitors. Jonesporters will be asked their views on a variety of subjects in the coming days, ranging from allowing the school department to borrow from the town’s surplus fund to reviewing a controversial building permit. 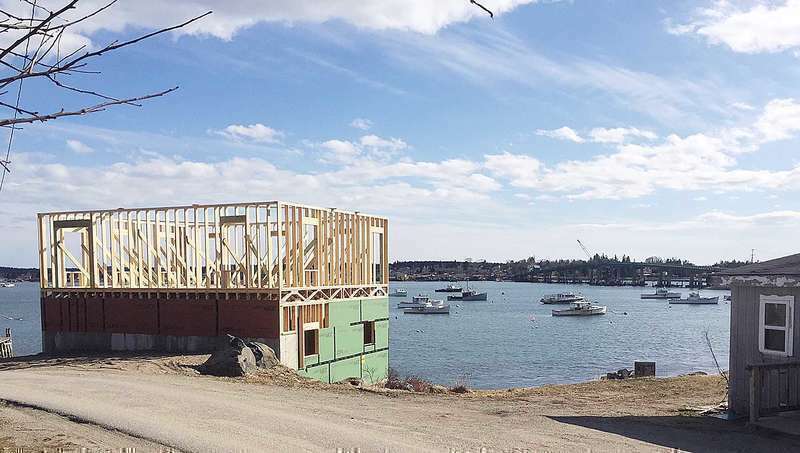 A hearing at 5:30 p.m. and a special town meeting afterward are slated for today (April 11) in the town office, while the planning board will revisit a permit it issued last fall for a fisherman’s workshop. Our April 7 public turkey dinner was a great success. It was so nice to see our library friends and supporters come out and enjoy some good company and a great meal. May 5 will be our famous pot roast public dinner. Pot roast with mashed potatoes, peas, carrots, cucumber salad, Janet’s rolls along with homemade cakes and pies will be on the menu. As always, the suppers begin at 5 p.m. and are held at the Hillgrove Community Center in Whitneyville. If you haven’t been to one you’ll have mark the date of your calendar and join us. Construction of the library has begun with the placement of the foundation and now begins the framing in of the library. With the funding secured to build the library, the Friends of the Library are now working on funding for new bookcases and furniture for the library and the craft shop. With more space for both the library and the craft shop, the library will be able to host events during the year and the craft shop can feature more new crafters. This week Patricia Brightly is visiting Rose M. Gaffney and Jonesboro Elementary School with books and will read aloud to five classrooms. The children look forward to Whitneyville Library Day and love the stories that are read aloud. This service began in 1972 and continues today. The library is open Monday, Tuesday, Wednesday, Thursday and Saturday from 1 to 4 p.m. We have two computers for public internet use and have Wi-Fi for those with laptops. We offer interlibrary loan at no cost and there has never been a fee for a library card. All readers from surrounding towns are welcome to join the library. You can visit the library at: www.whitneyville.lib.me.us and don’t forget to like us on Facebook. There is a can in the entryway at Wesley Elementary School for Box Tops for School Education. If you have any to donate, you can drop them off any time school is in session or when the town office is open. Thank you! 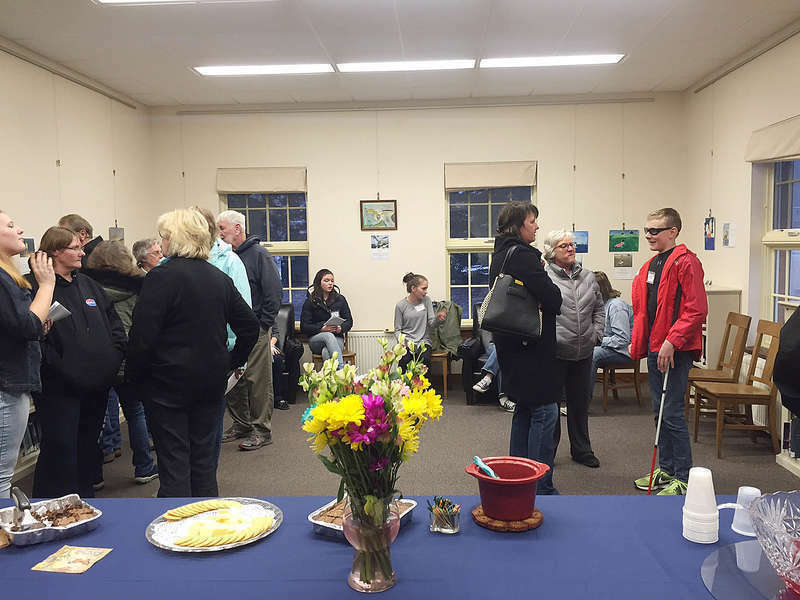 “Wyeth Interpretations,” an art exhibit featuring paintings by Beals Elementary School seventh and eighth graders modeled on works by Andrew Wyeth, his father N.C. Wyeth and his son Jamie, opened last week at Jonesport’s Peabody Memorial Library with a well attended reception in the community room. The sun-drenched Florida Keys with its cobalt skies, swaying palm fronds and gliding pelicans got under my skin more than 40 years ago. As a Maine Naval Reservist, official orders sent me down there more than once for a two-week training tour at the Key West Naval Air Station. The Maine Department of Marine Resources has been awarded a grant from the National Oceanic and Atmospheric Administration to improve the data used to protect endangered North Atlantic right whales. The $714,245 grant is funded through the Section 6 Species Recovery Grants to States Program administered by NOAA. The three-year project, which begins in the summer of 2018, will support work that improves and adds data on fishing gear that can inform future whale protection regulations. Though it may seem hard to believe, at age 65, I never have gotten around to making a will, but I’d like to now. My question is: Do I need to hire a lawyer to write my will, or can I do it myself? I want to get my affairs in order, but I hate paying an attorney fee if I don’t have to. Lennox Crosby Ramsay, 90, of Addison, died March 28, 2018, at the Down East Community Hospital. He was born on April 27, 1927, to Florence May Ramsay and Walter Robert Ramsay in Bear River, Nova Scotia. Lennox moved with his family from Canada to Addison, Maine when he was seven years old. He made Addison his home for the rest of his life. 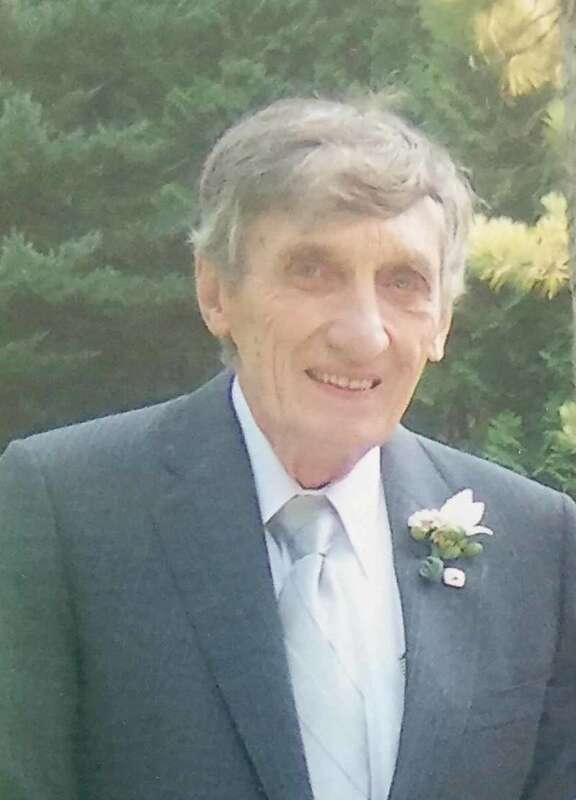 Philip Richard Dodge, 92, of Machias, passed away on Easter morning, April 1, 2018, attended by his wife, Dolores and the supportive staff at Marshall Healthcare in Machias. He was born on January 16, 1926 on Fremont Street in Machias, on what was then known as Dodge Hill. Robert John “Bob” Simon, 84, of Machias peacefully passed away on April 5, 2018, at EMMC, surrounded by his family. Bob was born on August 28, 1933 in Buffalo, New York He was the son of the late Ross & Florence Simon. Bob enlisted in the U.S. Air Force in 1950, proudly serving his country until his retirement in 1970. He then owned and operated Simon Electric in Machias for over 30 years. The movie “Wonder” will be shown on the big screen 6 p.m. Friday, April 13, at the Henry D. Moore Library and Community Center in Steuben. Based on the New York Times bestseller, “Wonder” tells the incredibly inspiring and heartwarming story of August Pullman, a boy with facial differences who enters fifth grade, attending a mainstream elementary school for the first time. Admission is free and refreshments are sold by donation. For more information, visit www.moorelibrary.org. Mike Wolfe, Frank Fritz and their team are excited to return to Maine! 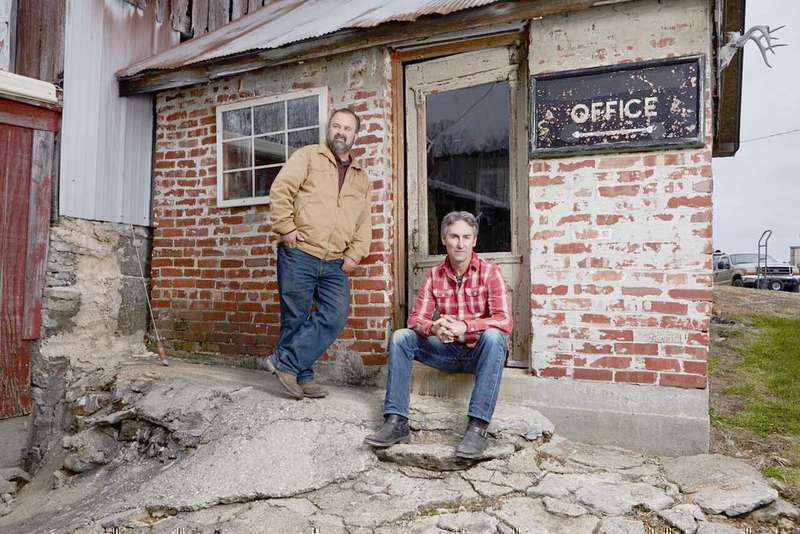 They plan to film episodes of the hit series American Pickers throughout Maine. A 1930s photograph of the Machias dike shows a structure resembling a giant pile of Lincoln Logs with a road on top. Those old logs are still part of the Route 1 bridge today and though reinforced by concrete in 2008, they’re starting to show their age. Photography taken by divers during a 2016 underwater inspection reveal erosion and decay in the dike’s wooden supports. State Police and the Maine Drug Enforcement Agency say three people have been arrested in connection with three heroin overdoses in Washington County taking place within 30 minutes of each other on Friday, April 6. Law Enforcement in six other Maine communities have also reported similar overdoses although none have been fatal. About 4 p.m. Friday, Troopers from Troop J and detectives from the State Police Major Crime Unit responded to two overdoses in Machiasport and a third in East Machias. The victims were two men and a woman, all in their 30s. More than 120 people filled the Pellon Center for a marijuana work session recently held in Machias. But when Machias Selectboard Chairman Warren Gay opened the meeting to public comment, the room went silent. We would like Machias and surrounding area pet owners to take a moment and look at the world through their dog’s eyes. Eating, sleeping and playing take up most of their day. The one job they do have, at least in their minds, is protecting their turf and their family. “It’s OK, he won’t bite you” is a phrase heard often by letter carriers. But the truth is that ALL dogs will bite if they feel their territory or family is being threatened. Did you know Bruce Poliquin’s net financial worth is $12,183, 007? Do you know Poliquin ranks 17th in wealth among U.S. House of Representatives? Did you know Poliquin voted to repeal the Affordable Care Act six months ago, threatening the health care of 100,00 residents of Maine? Poliquin also voted for the House version of the GOP tax bill. Did you know this tax bill included $25,000,000,000 cuts to Medicare annually. This would have impacted greater than 300,000 Maine seniors. Mary Mayhew is the youngest of four children, raised in Pittsfield by parents who were Democrats. Today, she’s working to become the next Republican governor of Maine. Owen Beal, 77, of Milbridge, started lobster fishing with his father, baiting bait bags and measuring lobsters when he was just a teenager. The air outside had a chill to it as I got to Beal’s house for an interview. I walked in as dogs barked. One of his daughters, Mary, was cooking a steak. I could hear the steak splattering while it was cooking in the pan. I felt like I was in some steakhouse.The smell was breathtaking. I turned my attention to Beal whose face was raw and worked. He was happy. I could see the years on the water hadn’t caught up to him quite yet. Another week started out slow, but the need for bus drivers to drive students to and from their activities have kept me quite busy. 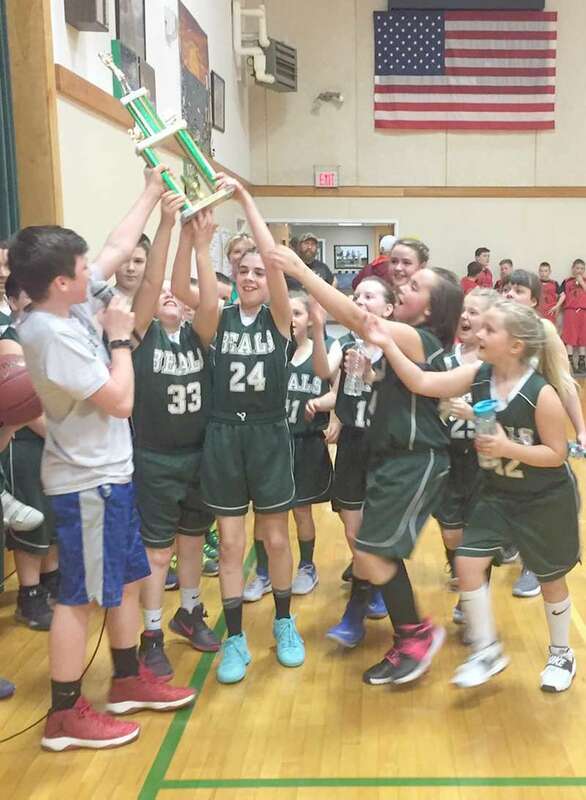 Students were bussed to the high school on Wednesday for the “Hoops for Heart,” fundraiser. The Pee Wee ball games are coming to an end this coming week with play offs. Art was born on July 17, 1938 in Bath, Maine to Captain Arthur Loring Totman and Ruth MorseArthur Elisha Totman (Captain Art), 79 years of age, died April 7, 2018 at the Marshall Health Care facility in Machias after a brief battle with leukemia. He married. Jean A. Goody of Bath on December 21, 1956. Art enlisted in the National Guard and went on to serve four years in the United States Air Force. After being honorably discharged, he signed on to work for the Federal Aviation Administration in Bucks Harbor, retiring as the site supervisor in 1995. 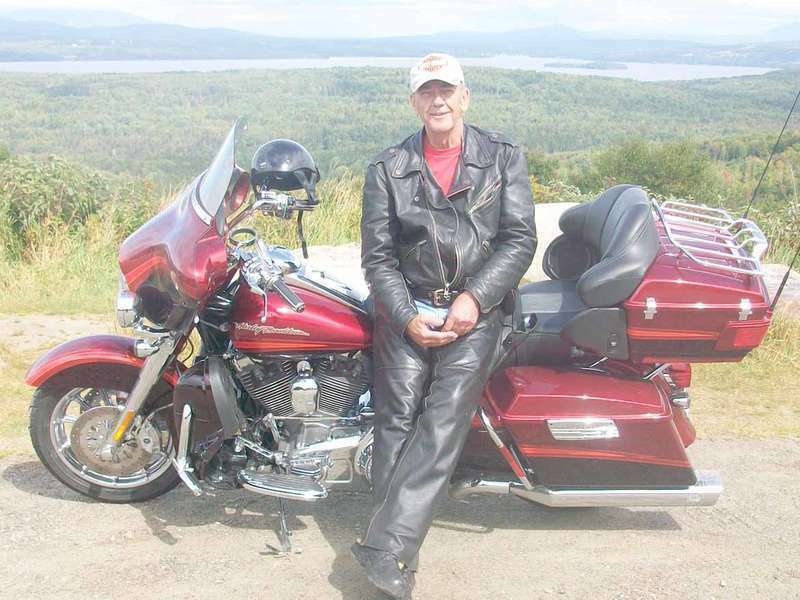 Aubrey “Skip” Vaughn Carter, 73, died April 4, 2018 at a Machias hospital surrounded by his loving family. He was born in Lubec May 26, 1944 the son of the late Vaughn Aubrey and Christine Mae (Farmer) Carter. Homes of Atlanta, passed away peacefully on March 12, 2018 while under hospice care. Allen William Hall, 77, of Machiasport, Maine and Zephyrhills, Florida, went home to be with the Lord on Sunday, April 8, 2018 after a brief illness. Allen was born in Machias on December 13, 1940 to Gordon and Mary (Wood) Hall. He spent his childhood growing up in Kennebec, which he always considered his home no matter where life took him. He was an Army veteran, worked at many odd jobs including clamming, carpentry and as an electrician. He made his career as a civil employee at NATS in Cutler, retiring after 35 years of service. 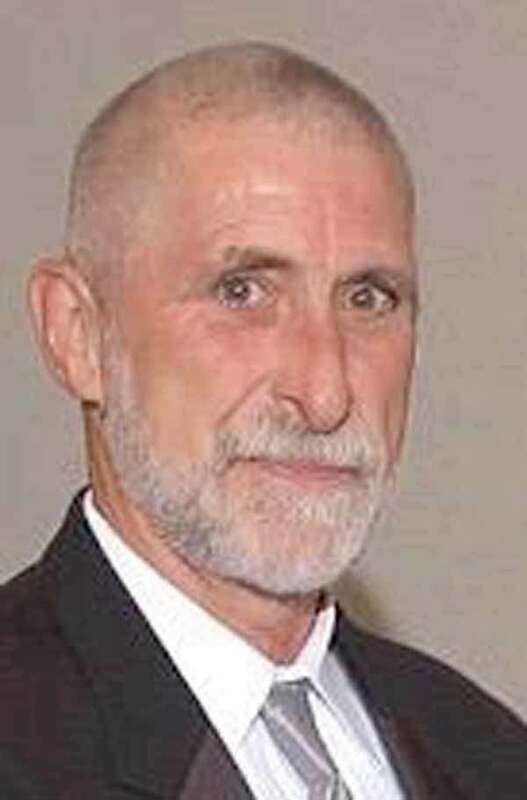 William R. “Bill” Fraser, 70, of Albany Twp, died April 9, 2018 at the Maine Veterans Home in South Paris. Bill was born April 26, 1947, in Harrington, Maine, son of the late Ritchie Francis Fraser and Winifred (Steele) Peabody of Jonesport. He was a graduate of the class of 1966 Waltham Vocational High School in Massachusetts. A veteran of the Army, he served in the Vietnam War. Bill worked as a carpenter and owned his own business, Sideline Carpentry, after having been a millwright at General Dynamics (fomerly GTE) for 15 years. Tide Mill Farms in Edmunds is one of five operations that have been awarded grants by the Maine Department of Agriculture, Conservation and Forestry. Tide Mill will receive $50,000 of the $187,735 awarded by the state. Tide Mill Organics will use the funds to improve its organic poultry processing plant in Washington County to become a State-Inspected Processing Facility and to develop value-added products, such as ground turkey and chicken, poultry sausages, and pet food. 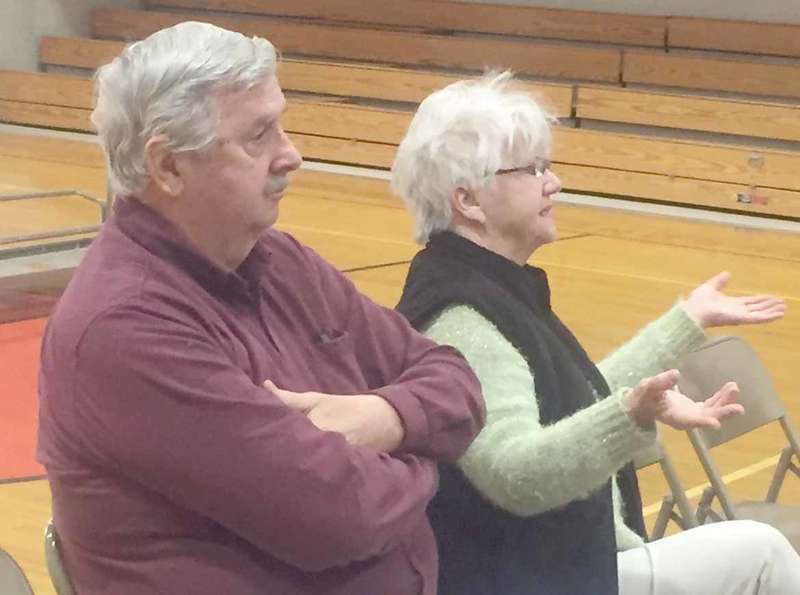 At a special town meeting April 11, a handful of Jonesporters authorized their school department to borrow $79,800 from the surplus account to repair the elementary school roof. A roofing job done four years ago has begun to leak and school officials fear that mold might begin to grow if the repairs are not done promptly. 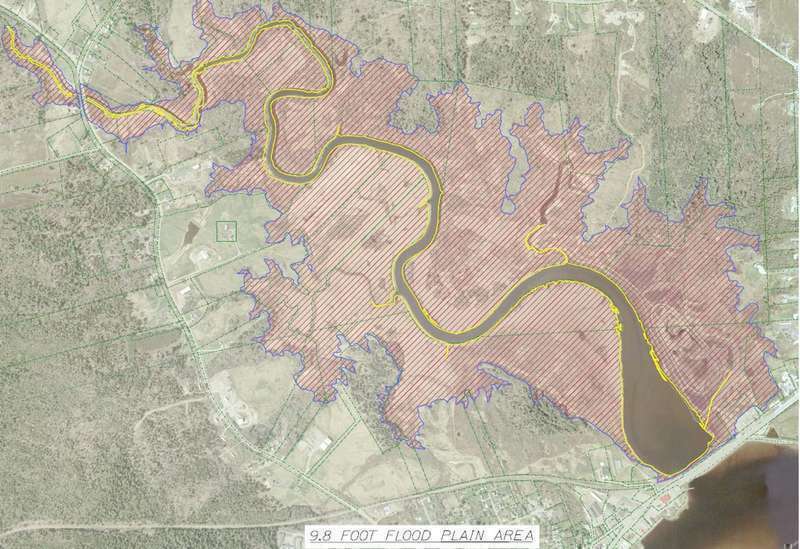 The repayment plan consists of two annual payments of $40,800 which would include a minimal amount of interest to cover any loss the town would experience because of the loan. The vote to grant the loan was unanimous. A feud among neighbors on Ice Hill South, a short lane running from Main Street to the bank of Moosabec Reach that has been an irritant facing Jonesport selectmen for nearly a year, prompted a public hearing last week on whether to abandon the way and eliminate the town’s obligation to maintain it. The feuding parties include four seasonal residents who favor abandoning the lane, and a retired couple who have made Jonesport their year-round home and who don’t. April Vacation Arts Camp, ‘Escape to Polynesia,’ April 17-19, 10 a.m.-noon, for ages 6-13. Space limited, email alison@eastportartscenter.org. Eastport Arts Center. “Vermicomposting at Home” Build a small-scale worm garage! Ages 6-12. Friday, April 20, 11 a.m. - noon. Please pre-register with Tara at 207-255-3345 to reserve a spot. Machias Memorial High School Principal Brian Leavitt is pleased to announce the honor parts for the graduating class of 2018. Savahna Schmauderer of Savy Designs in Machias stood by her table of breathtaking cakes and offered decorated cake samples, making her table extremely popular with the children. In 2009, the Maine Department of Inland Fisheries and Wildlife, in conjunction with the Maine Professional Guide’s Association ( MPGA), did a wonderful thing. 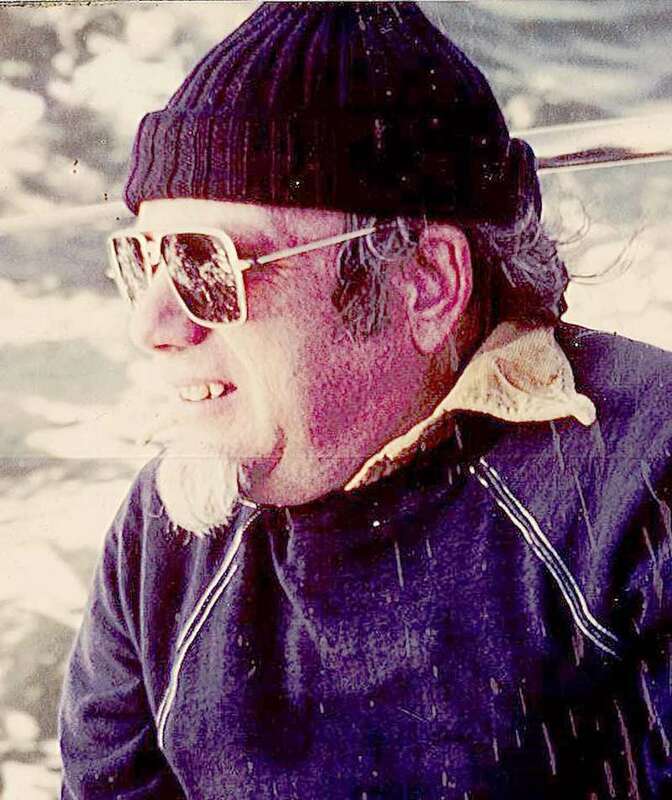 They created the Wiggie Robinson Legendary Maine Guide Award. It was fitting that Robinson was the first (posthumous) recipient of his namesake award. The idea was to select annually a deserving Registered Maine Guide for this honor and public recognition. 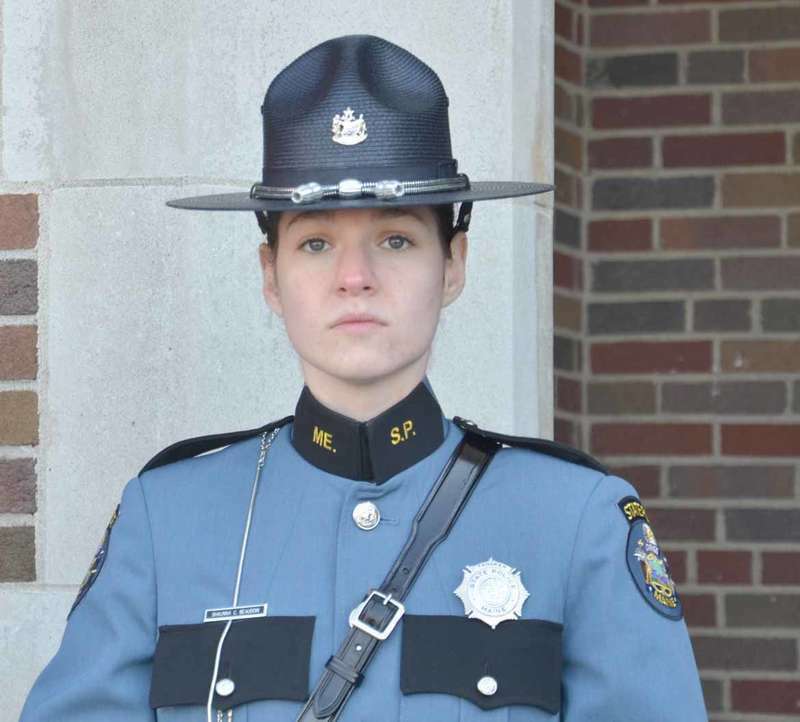 Maine’s newest state troopers received their badges on Friday, April 13, in ceremonies at the Maine Criminal Justice Academy. The five troopers completed 10 weeks of specialized State Police training. All are previous graduates of the academy. The new troopers will now patrol with a veteran trooper before beginning to patrol on their own. The graduation speaker was Governor Paul LePage who noted that the five troopers all grew up in Maine and thanked them for wanting to serve their state. 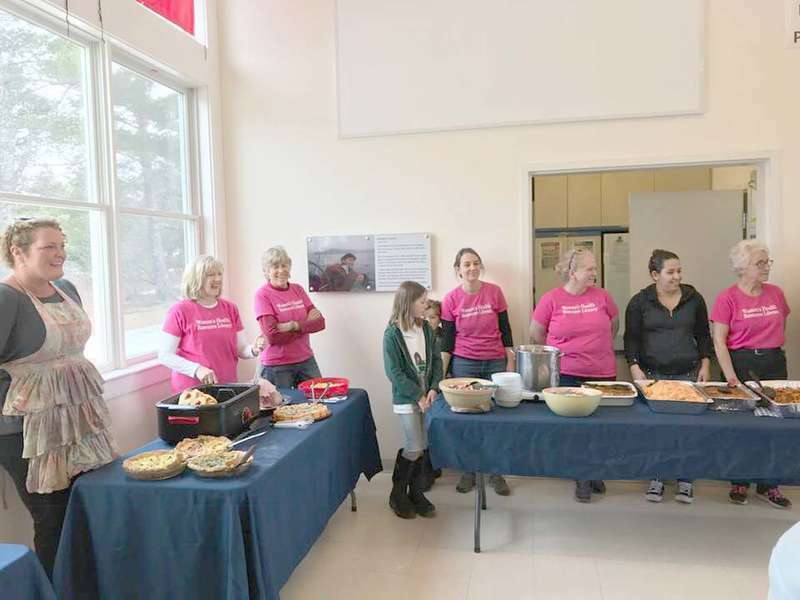 The Ephraim Johnson American Legion Post #9 of Machias does a lot of great things over the course of the year for many individuals or organizations. The members of that post really do a fantastic job, and the generosity that transpires there is unbelievable. The 1990s were a good 10 years for schoolboy basketball Downeast.There were a lot of strong teams with competitive games being the norm rather than the exception. The Downeast Athletic Conference was fully intact, and the majority of the teams were somewhat competitive with one another. The 90s started out a little slow with Brian Kubeck of Calais the only all-tourney selection in the new decade’s first year. The Bangor Daily News annually pick an All Maine Girls’ Basketball team comprised of the best players statewide with first, second and third team selections plus honorable mention. This year, for the first time in five years, a Washington County schoolgirl did not receive honorable mention. This year, as in most years, most of the all-state players come from the larger schools. Susan Meserve, Principal at Harrington Elementary is pleased to announce the 3rd Quarter Honor Roll as follows - High honors Gr. 3: Victoria Bickford, Zoey Blomgren, Hannah Grant, Colin Phinney, Erica Rackliff. Honors: Kevin Barbee-Bamford, Caden Burgess, Kayden Dake, Kyle Dorr, Emma Dowling, Makenzi Farren, Ryder Fenton, Miranda Flores, Kaitlyn Grant, Keyontae Pinkham, Alex Worcester. High honors Gr. 4: Anabella Cirone, Derek MacLeod, Cameron Morris, Natalie Stanwood. Bay Ridge Elementary School in Cutler is pleased to announce its 3rd quarter honor roll: Grade 5: High Honors:Avery Cates; Ethan Cates; Reese Crosman; Michael Taylor. Honors: Max Cates; Paige Cates; Kisuhs Dinsmore. Grade 6: High Honors: Anna Patterson. Honors: Ben Griffin; Drew Taylor. Grade 7: High Honors: Isabel Cates; Lucas Cates; Sarah Moulton. Honors: Marissa Cates; Shane Feeney; Abby Fitzhenry; Jackson Lemieux; Sarah Neal; Kate Taylor. Grade 8: High Honors: Raeanah Reynolds. Honors: Madison Sylvain; Cami Bryant; Kash Feeney. Principal Leavitt and the faculty of Machias Memorial High School proudly presents the Quarter 3 Honor Roll for academic excellence. The following students have earned the distinction of being recognized as achieving high honors or honors. High Honors Seniors: Meagan Jordan, Farrow McKenna, and Georgie-Anna Pemberton; Juniors: Madison Conlin. Nothing succeeds like success. The Bold Coast Sea & Sky Planning Committee is looking for more volunteers for its July 20 and 21 festival. Last year saw almost a doubling of the participants in the festival over the opening year in 2016. The festival, entering its third year, is getting its start through the inspiration of Bill Burke, owner of the Pat’s Pizza restaurant here in Machias. The Rotary Club of Machias is a co-organizer. A dinner followed by a dessert auction to benefit Arise Addiction Recovery will be held on Saturday, May 5. Donations for admission will benefit the Machias-based men’s residential recovery center. The event will be held at Elm Street School in East Machias from 5-7 p.m.
We hope you will join us and consider making a dessert to be auctioned. Contact Jen and Wayne Wood, 263-7891. It is always a good time! 18th Annual Smelt Fry & World Fish Migration Day Celebration to be held Sat. Mark your calendars and join the Downeast Salmon Federation for a day of fisheries fun! 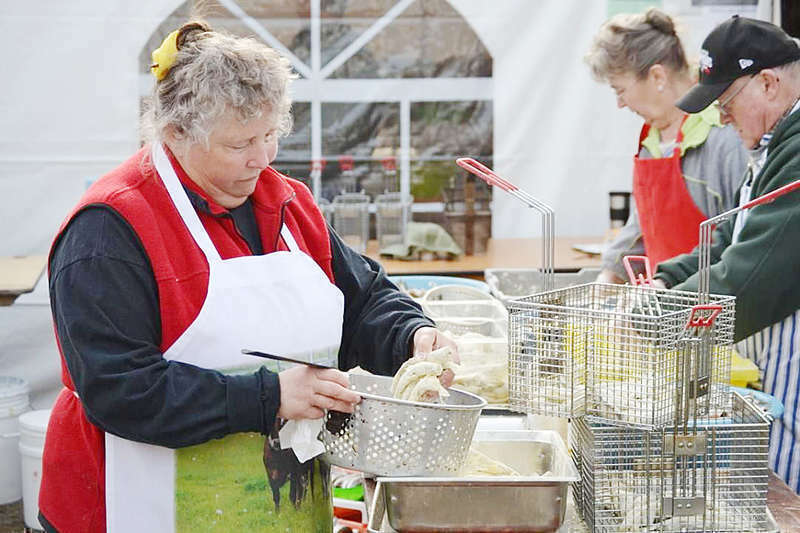 Over the years, these festivities have grown from a small community potluck centered on the commercial smelt harvest to a well-known regional event serving 500+ guests. 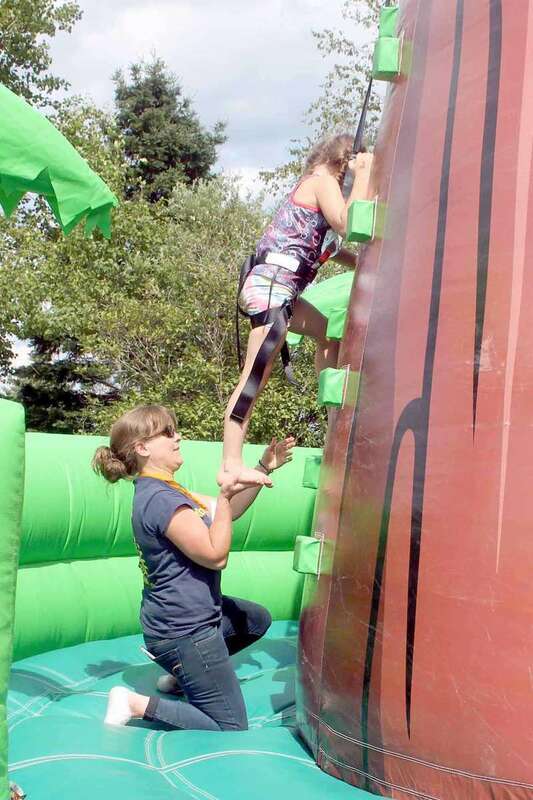 This year the event will be held on Saturday, April 21 from 11 a.m. until 4 p.m. Throughout downtown Columbia Falls, there will be activities and displays that feature the inspiring fisheries and conservation work of DSF and their partners. University of Maine at Machias on Saturday, April 21 from 9 a.m. to 1 p.m.
Administration (NOAA) and Director of the United Nations Global Climate Observing System. 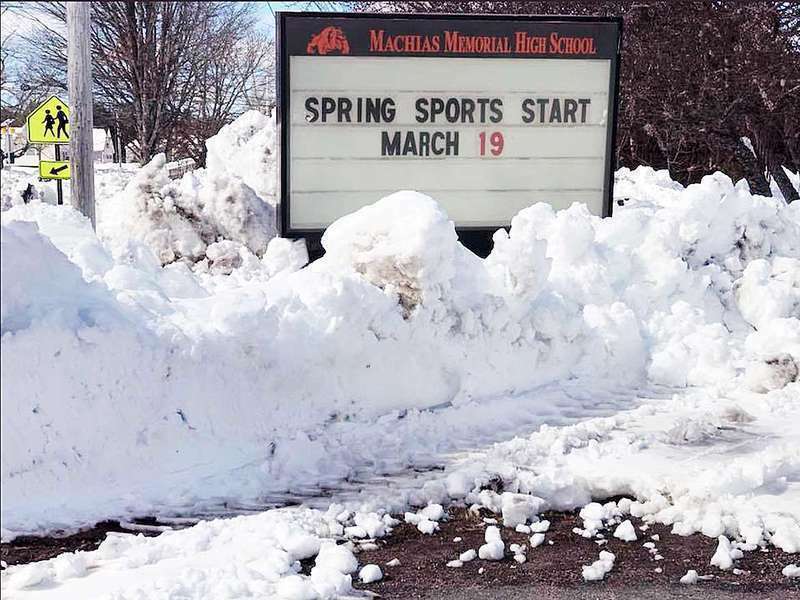 The deadline to declare candidacy for a seat on the Machias Selectboard passed on Friday, April 13, and four candidates have their hats in the ring for two seats. Selectboard vice chairman Joshua Rolfe is running as an incumbent, as is selectman Leslie Haynes. Former selectman Dr. James Whalen has declared his candidacy, as has Nicholas “Crowsneck” Boutin of Machias. With a PhD in horticulture from the University of Vermont and a couple of years at the Cornell Cooperative Extension Service, she was hired as the designated replacement of Dave Yarborough, longtime blueberry specialist at the Maine Cooperative Extension Service.